190 Seventh Lake Road, Inlet, NY.| MLS# S1155609 | Benn Realty LLC -Since 1968, and now with offices in Old Forge and Remsen to serve you better. "Woodholme" is a restored and renovated year round home which was originally an Inn on Seventh Lake of the Fulton Chain of Lakes. Guests would come by boat and stay in the Inn or one of the 4 bedroom, 1 and 1/2 bath cottages to enjoy meals and leisure in the summer months. 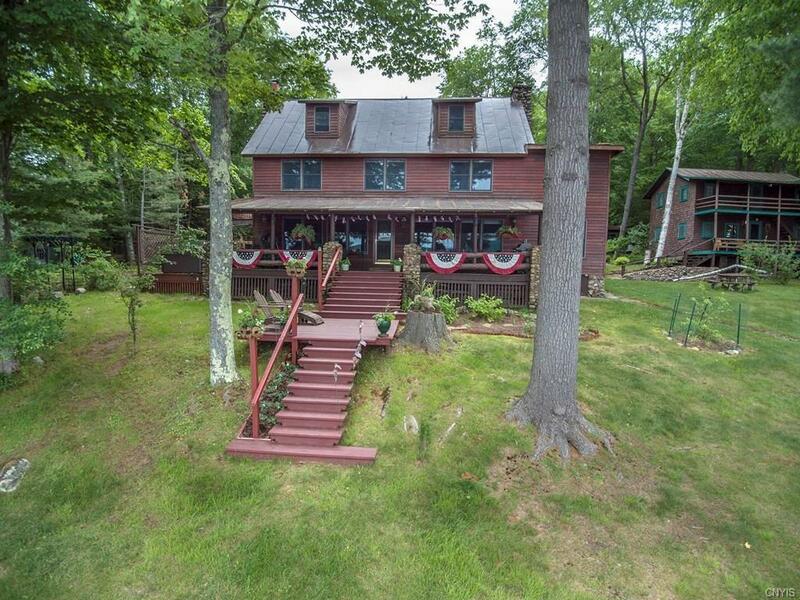 Located on a year round road, this property is just two doors away from New York State Land. The home was completely renovated into a year round dwelling including new windows, heating system, insulation and water and septic. The 2 housekeeping cottages have remained seasonal. There is a boathouse, several outbuildings for storage and workshops. Enjoy the breezes from the front porches of each of the dwellings. Directions To Property: From Utica, Take Nys Rt12n To Rt 28n Through Old Forge. Continue Through Eagle Bay Into Inlet. Proceed For Apx. 15 Minutes, And Bear Right At Drakes Restaurant Onto 7th Lake Rd. Follow Until The Very End.